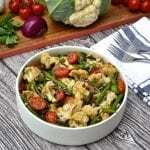 Be warned, this is one of those salads where you toss everything together, have a bite to taste it, and 5 minutes and half a bowl later, try to convince yourself you will have just one more bite, and then you will serve it to everyone. It’s that good and that addicting. 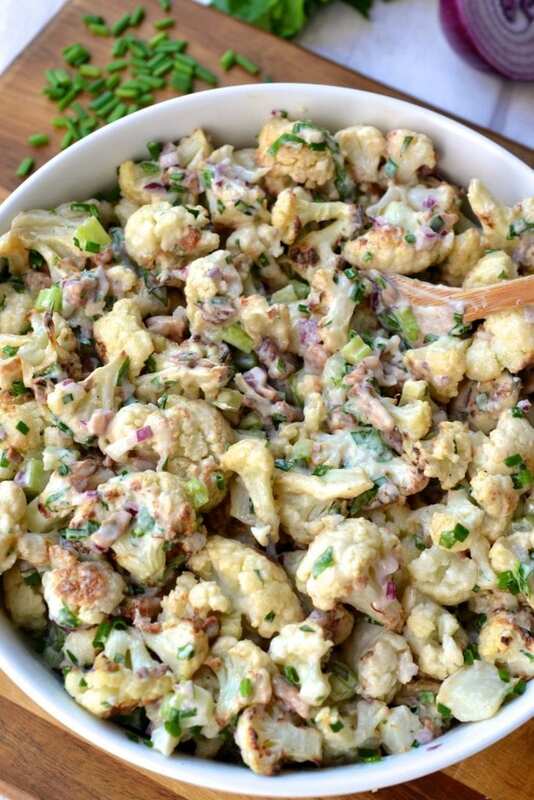 Cauliflower is a great low carb substitute for potatoes in this spin on classic creamy potato salad. 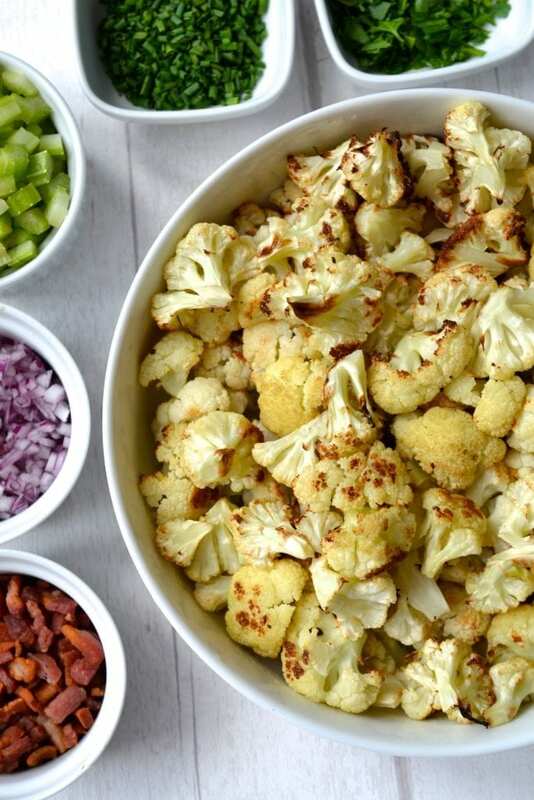 The cauliflower florets are baked in the oven until tender and develop a delicious roasted flavour which is a nice alternative to bland boiled potatoes. 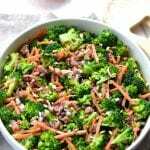 Like the traditional salad, I added in chopped bacon, because lets be honest, bacon makes everything taste better and it also adds a delicious saltiness. There is also chopped celery for some nice crunch, finely diced red onion, and fresh parsley and chives. 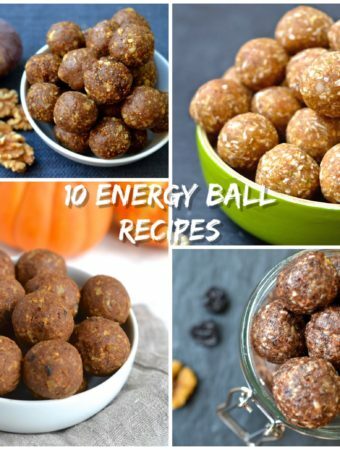 I have never been a fan of hard boiled eggs so I listed them as an optional ingredient but if you want some extra protein then definitely add them in. 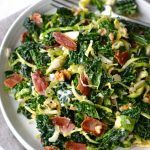 This dressing contains just a handful of ingredients and is so easy to make. 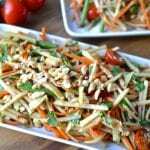 Although it seems quite thick when you first mix it together, it thins out once tossed in the salad. 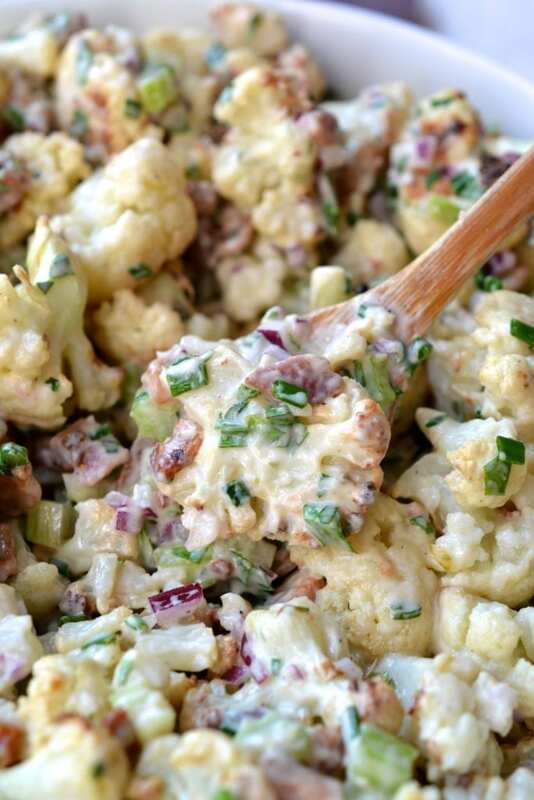 The dressing gets absorbed into the cauliflower florets so every bite is filled with creamy deliciousness. 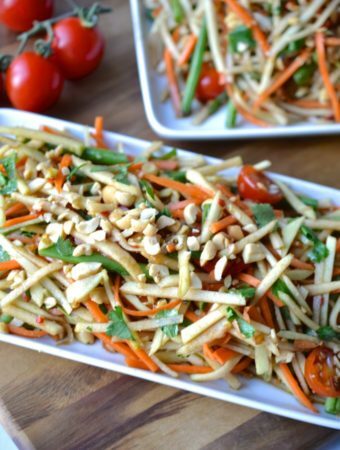 This salad is guaranteed to be a favourite at any BBQ this summer. 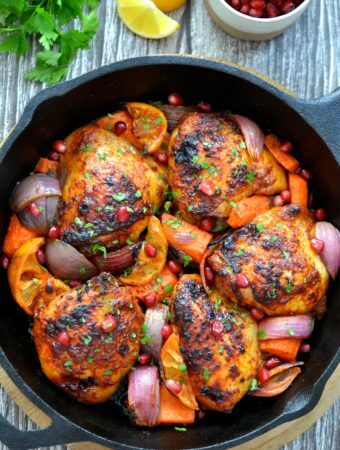 If you are lucky enough to end up with leftovers, they will hold up well in the fridge for at least 2 days. 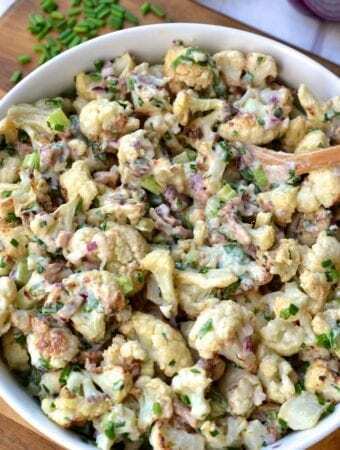 Cut the head of cauliflower into small bite sized florets and place on a baking sheet. 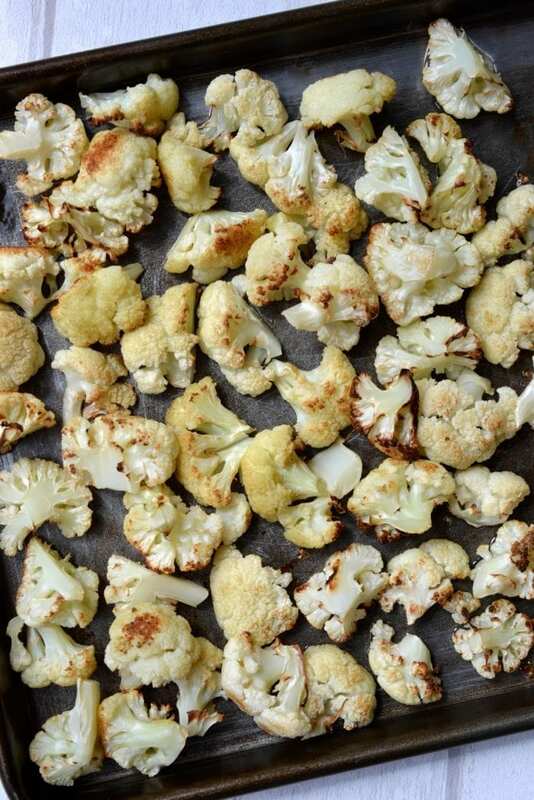 Drizzle the cauliflower with olive oil and bake in the oven for 20 minutes until the cauliflower is tender and slightly golden in colour. 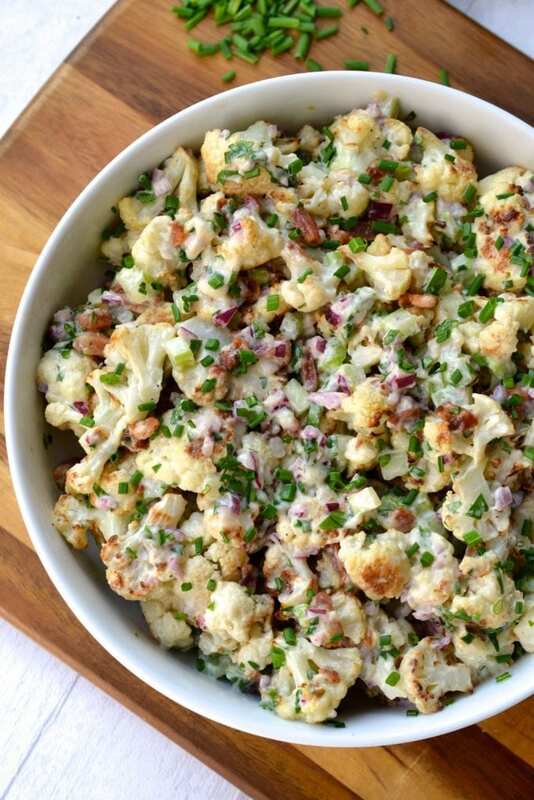 While the cauliflower is baking, fry the bacon in a pan on the stove. Once it's crisp, roughly chop it into small bite sized pieces. 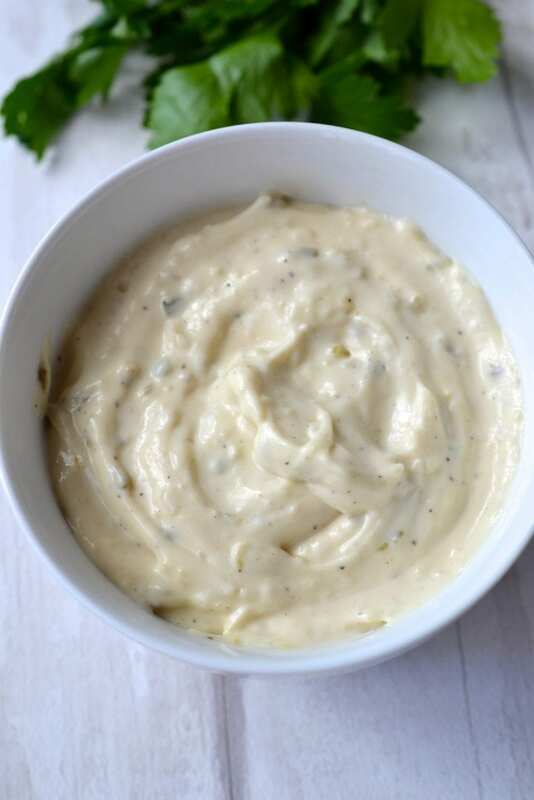 In a food processor or using a hand blender combine the mayonnaise, pickles, dijon mustard, vinegar salt and pepper and blend until the pickles are broken into small pieces. Taste and adjust the seasoning as needed. 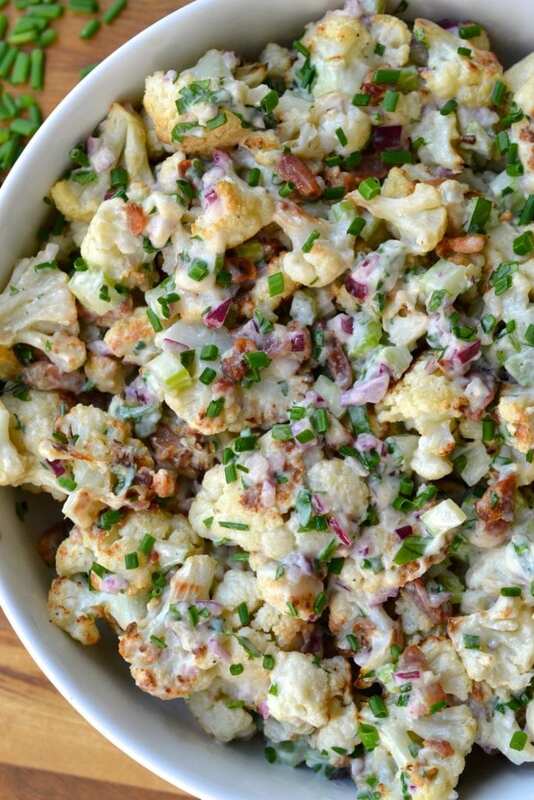 Once the cauliflower is tender, remove from the oven and allow to cool before transferring to a salad bowl. 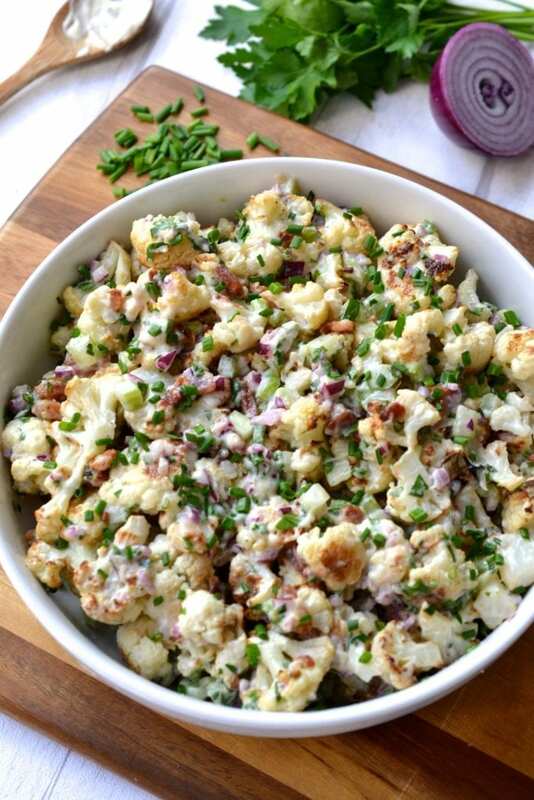 Top with the chopped bacon, red onion, celery, parsley and chives. Pour the dressing over top and toss until well coated. Enjoy! 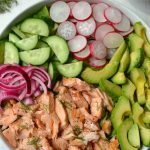 This salad was so simple yet so delicious. Made it for a BBQ and it all went. Was so yummy, you know people like it when they ask you for the recipe! 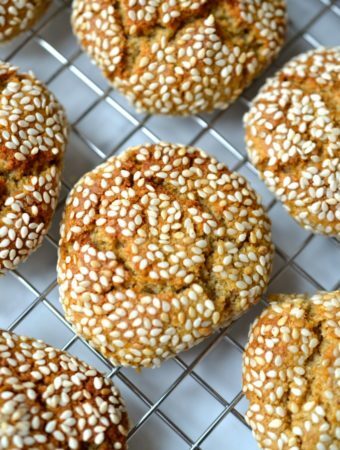 Simple and delicious, my two favourite words to describe a recipe ???? 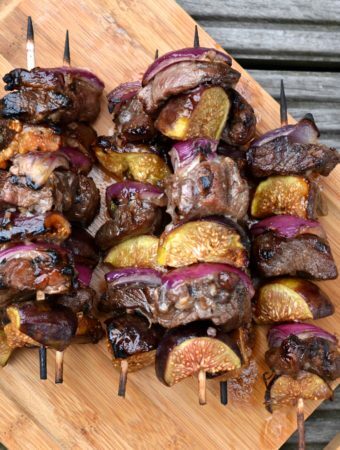 So happy to hear that everyone at your BBQ enjoyed it! This was so good. Made a double batch for a BBQ today. Awesome! So happy that you liked it! I made the faux-tato salad this week and it was delicious!! Thank you!! So happy to hear that! Thanks for the kind comment Dianna!